This elegant shawl crescent-shaped was part of the Knit Camp 2017 Collection, and is now available as a single pattern. 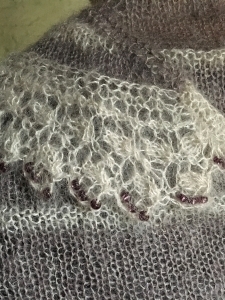 The design can be knitted in Kidsilk Haze or DK wools. There are also options for beading the edging and / or the garter stitch sections. 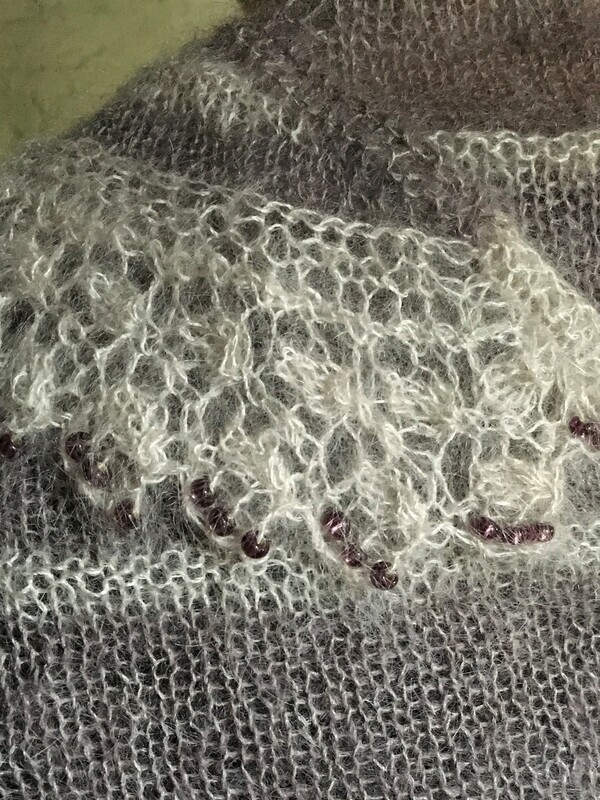 The border is knitted on at the end.